Do you know what is ice-cream? Well, it is simply a frozen dessert made from milk and/or cream, sweeteners with combined flavoursome ingredients such as vanilla beans, nuts, chocolate sauce or coconut milk. Besides all the above, the most important components of ice-cream is (if I remember correctly) it’s salt! Or was it not? LOL! Obviously I wasn’t paying attention during the workshop! 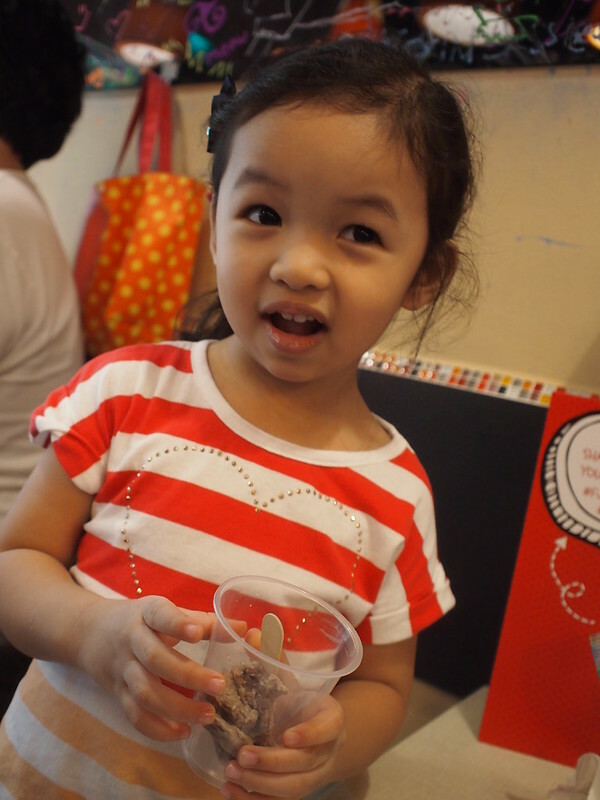 Well, we had our first family hands-on ice-cream making workshop at U.D.D.E.R.S with FOX Kids & Baby. The process is so simple and fun, even Baby Zara was able to help out during the process. 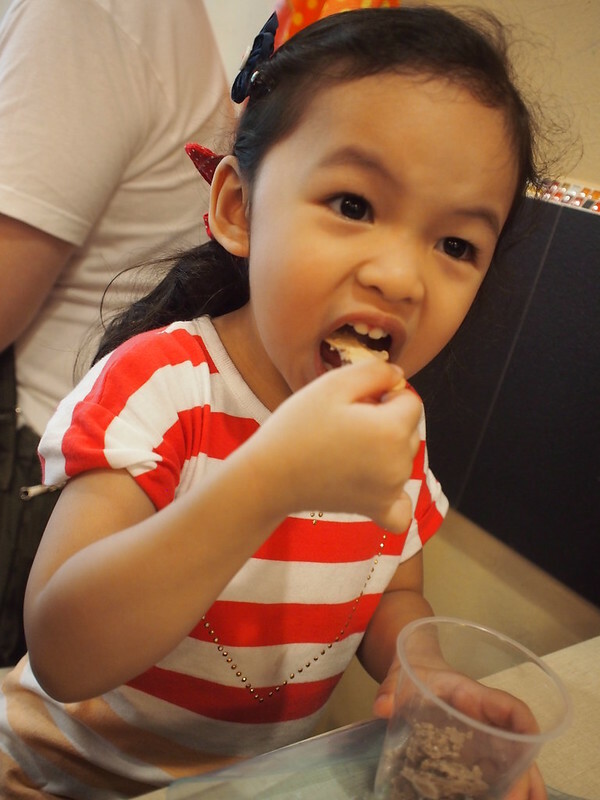 While waiting for the instructions for the ice-cream making process, Zara was all ready to dig into some yummy desserts, but all she had in her mouth that day was the wooden spoon. 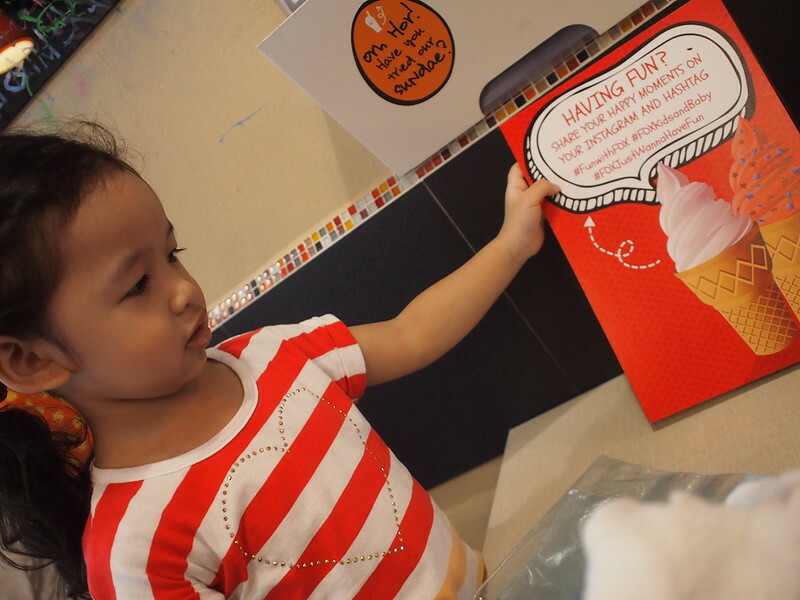 Seriously, she’s too young for ice-cream lah! Ayra was trying her best to listen and understand what the lady was trying to tell us. I guess instructions from Mummy is much easier for her to catch lah. 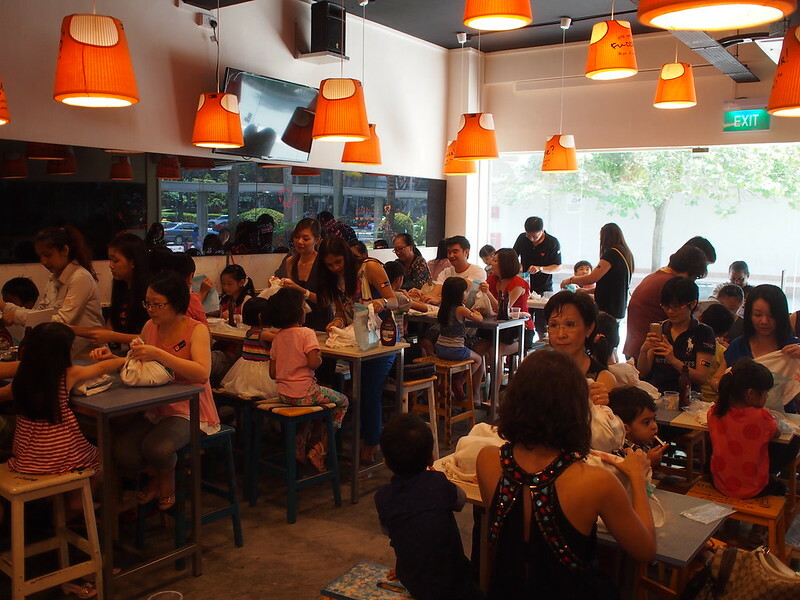 The place was packed with families from FOX Kids & Baby club a.k.a FOX-C. This is one of the many other activities they planned for their members, anyone with sufficient FOX points can redeem for these activities via their FOX-C Social app on Facebook. 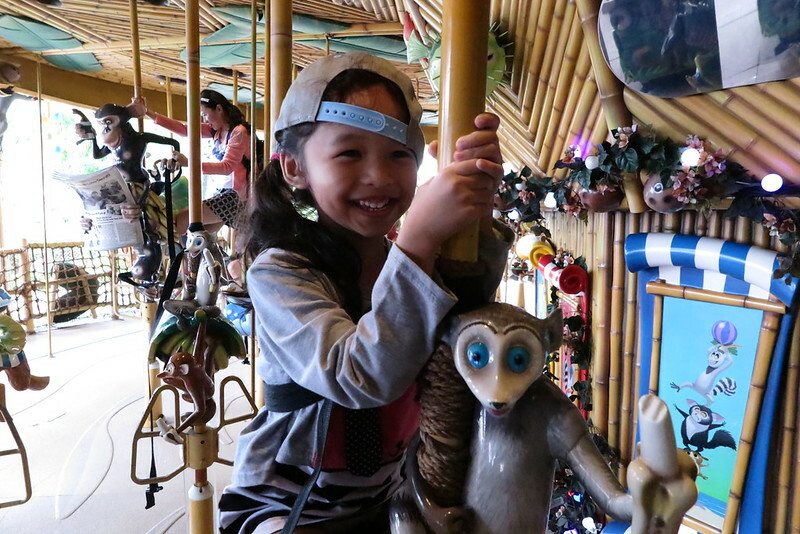 For this workshop, it was 150 FOX points + $15 cash for a Parent + Kid session. After a long wait (in Ayra’s time space), finally she got to get her hands on the ingredients and cutleries. Pour the 200ml milk and 200ml cream into a bowl. Mix. Pour in chocolate sauce till the mixture turns brown and to preferred taste. Split the bowl of mixture into freezable zip lock bags (the more you pour, the longer it’ll take to freeze it, so we split the mixture to three parts). Remove as much air as possible from the bag and seal the bag tight. Fill up half of a big freezable zip lock bag with ice cubes. Pour in 6 heaped tablespoons of coarse salt. Rub and massage the salt into the ice cubes. 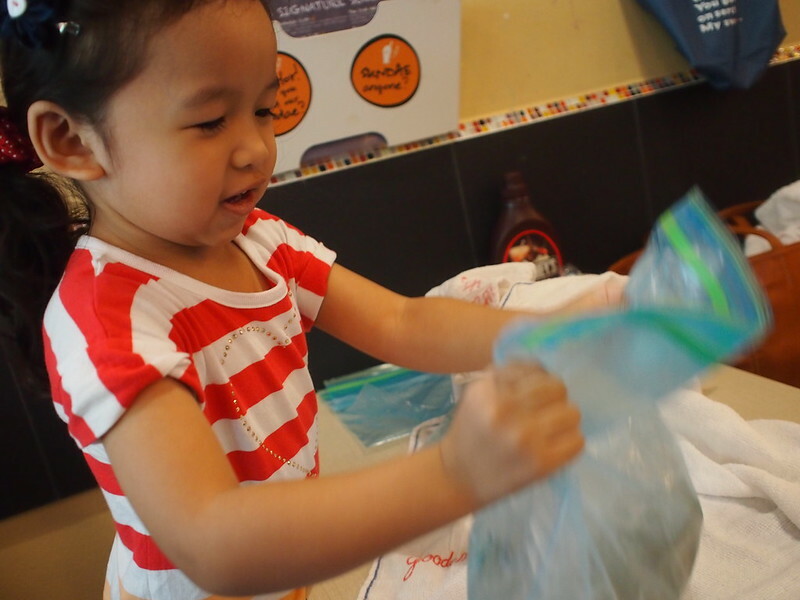 Once a layer of ice water is formed in the bag, put the ice-cream mixture bag into the ice-cubes, push it right into the bottom. Now SHAKE! Get as much air into the bag of ice so that the ice-cream mixture will get frozen. Shakes approximately 10-20 minutes. When the ice-cream mixture hardens, your ice-cream is ready! Remember to wipe clean the small ziplock bag before unsealing it to remove any traces of salt and salty water! Else you will end up with salty ice-cream! Zara helping to massage in the salt into the ice-cubes. She was giggling and enjoying it! Ayra attempted to shake the bag of ice, but gave up after a few seconds. 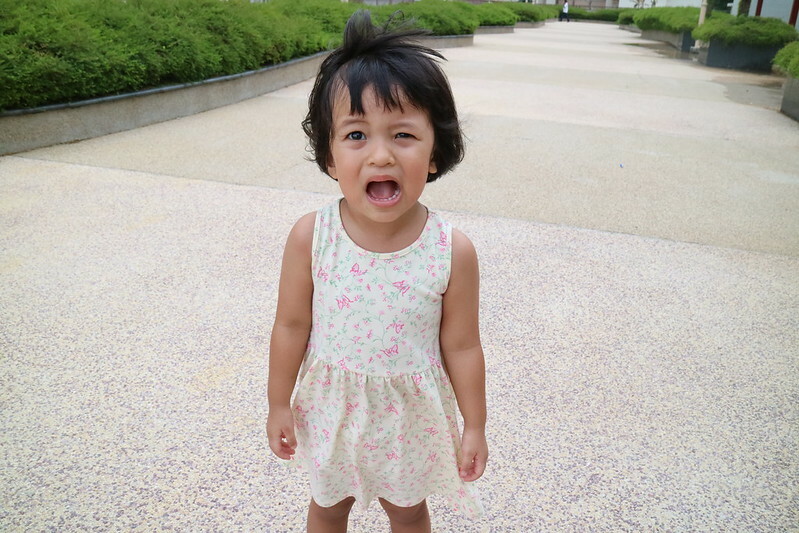 “Ayra tired!” she told me. After not sure how long, shake-till-when-I-couldn’t-feel-my-arms was the timing I remembered, our chocolate ice-cream was ready to be consumed! 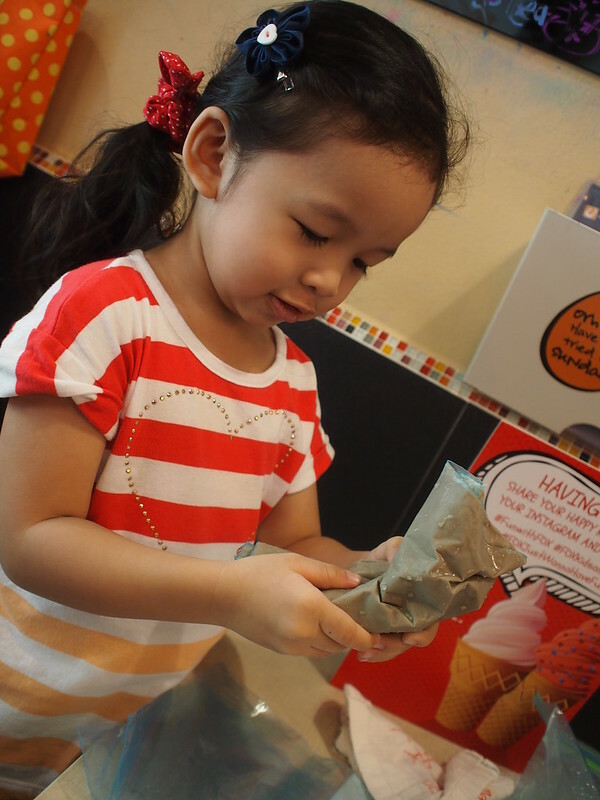 Ayra couldn’t wait to dig into the bag of her handmade ice-cream. Just look at that delighted face! 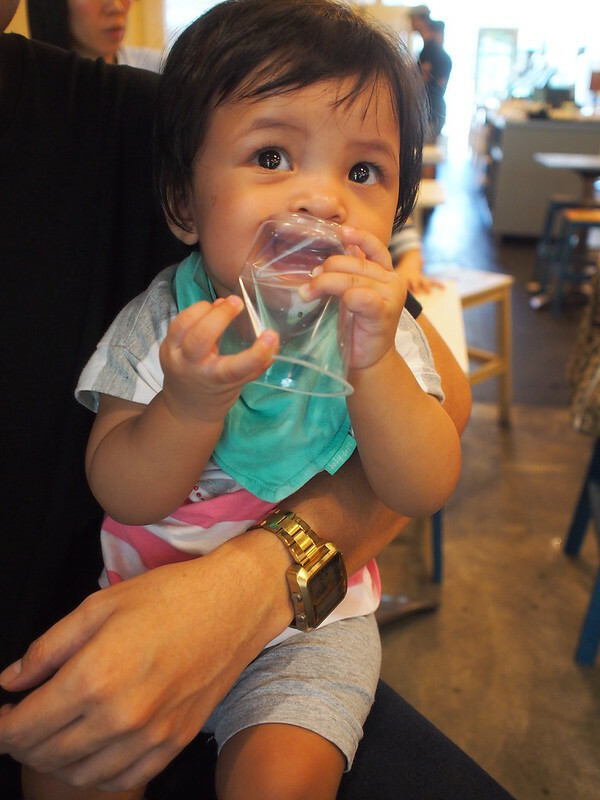 She is too cute lah! For the record, she was barred from cold drinks and food for more than a month prior to this workshop due to a prolonged cough. Just only got better and she got to indulge in ice-cream! Which kid wouldn’t be smirking at this opportunity? 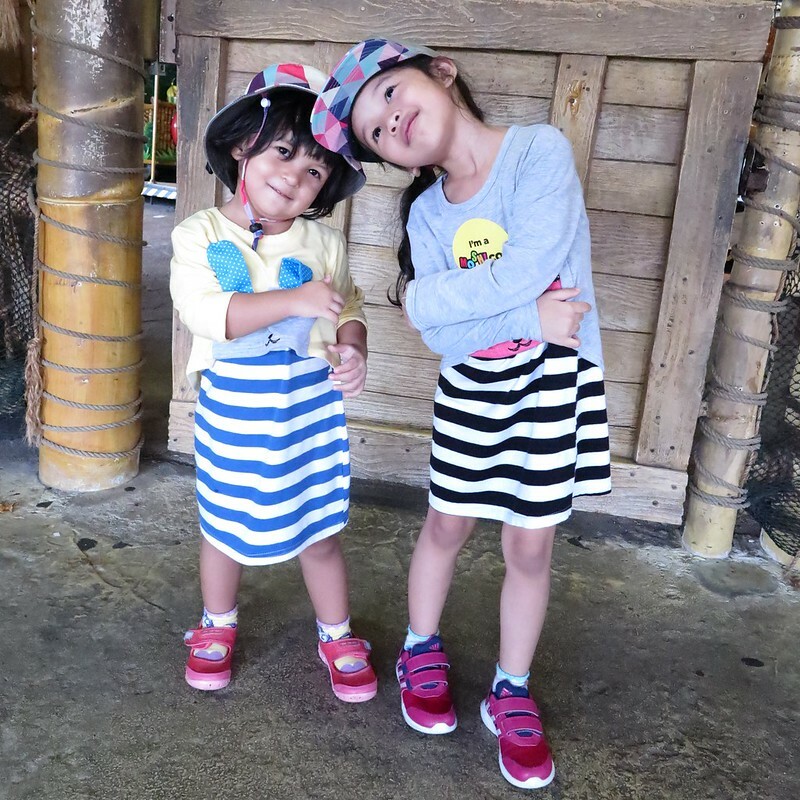 Thank you FOX Kids & Baby for this opportunity for our family to attend this fun workshop!